Our path here has been long but rewarding, and we can't wait until you are able to see it for yourself. From everyone at the Obloy Family Ranch, welcome! 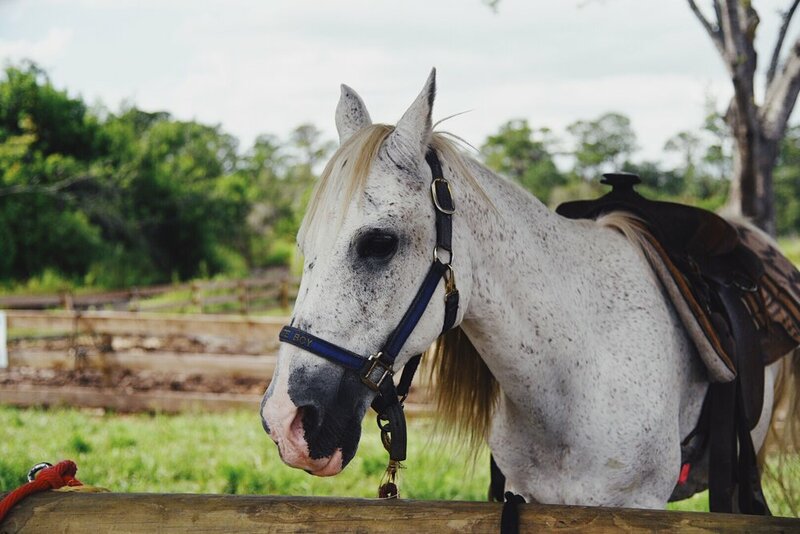 Obloy Family Ranch is located on a historic property in Merritt Island, Florida. The property dates back to the 1890s when it operated as a navel orange grove and later transitioned to become one of Florida's first gator ranches. In 2015, the Obloy family purchased the ranch and helped transform the property into a wildlife sanctuary and farm, adding horseback riding trails, restoring and restocking freshwater ponds, and adding a new event venue, the Barn Stall Winery & Wedding Barn. Contact us for a fun-filled family adventure to be remembered. We focus on wildlife preservation and value education on conservation, culture, and history. The gator pens remain so we can educate our visitors on the aquaculture that takes place in this region & through our efforts, the old gator ranch located here has become a wildlife sanctuary. Enjoy our wide variety of recreational activities that includes checking out the ranch's original fish farm. In our country store, guests can purchase fresh fish from our ponds and eggs from our chickens! We love our animals! They are the best, friendliest and the most unique bunch of furry, scaly, and feathery friends we could ask for. Through a lot of tender-loving care given to these animals, they are healthy and capable of giving love while living a stress-free life on the ranch. Bring the whole family out and meet them yourselves! Along with our petting farm, wildlife sanctuary, and adventures, we also offer accommodations in our Private Cabins as well as a new 3000 sq. ft. wooden barn, the Barn Stall Winery & Wedding Barn.